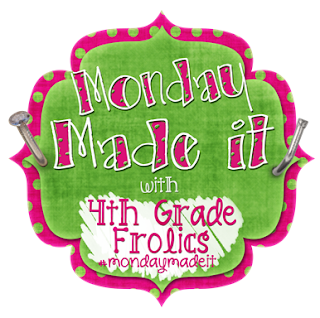 Okay, so I finally made something for Made It Monday. It isn't much, but I think it turned out super cute. 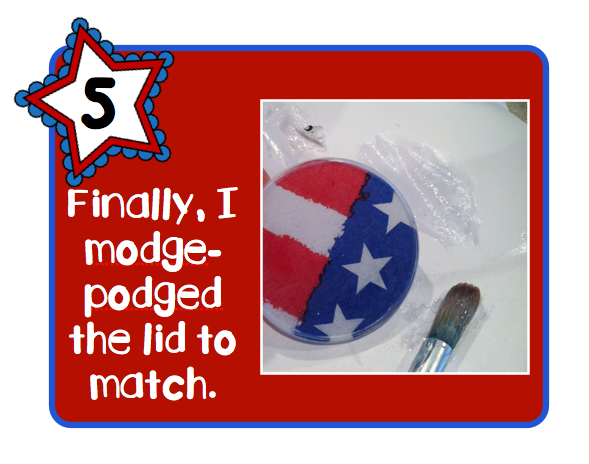 As we all know, the Fourth of July is right around the corner. It is hard to believe that it is July already. Kathi, our blogging partner is a firecracker baby. I also have several people in my family who were born on the 4th of July. My dear grandmother is one of those people. 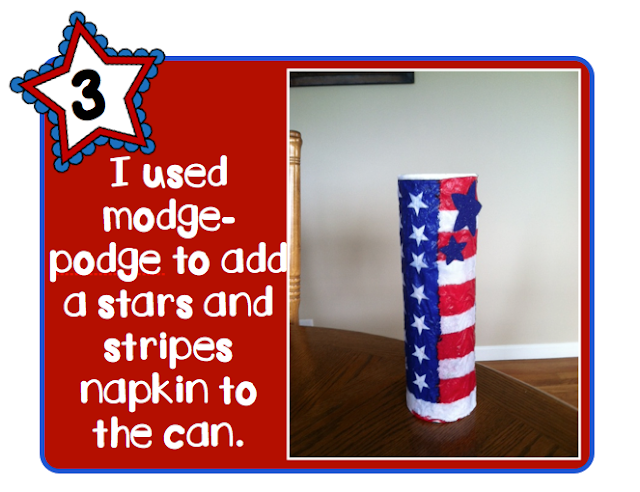 So, I had my boys help me make her a gift to give her on this 4th of July. I plan on having my 3 and 4 year old boys make cookies to stack inside the stars and stripes Pringles can for my grandma. She is going to love it!! Now, I can not take all the credit for this. I found a "tutorial" on a super cute "do it yourself" website. It is called "I Gotta Create Blog". If you have not checked it out, you need to. Just click here. There are several things planned for this week. * Don't forget to plan your post for Wednesday Wisdom. The topic this Wednesday is "Your Classroom Library". How do you organize your books? Do you use baskets or labels? Do you have a place where you keep "special" books? Remember to link up. We are hoping for several linkups this week. * Stephany, Kathi and I will be having a Freedom Sale on Thursday to celebrate the Fourth of July. 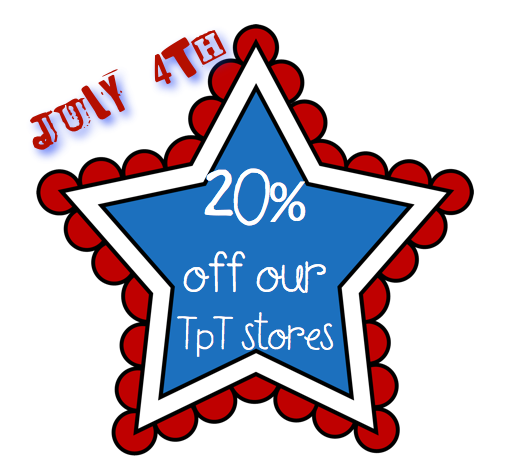 We will have 20% off our TpT stores. Our TpT store buttons are on the sidebar. * Finally, The First Grade Parade will be hosting "Your Favorite Pins" this Friday. We hope to bring you some of our favorite finds. Also, we have had a few giveaways this last couple of days! 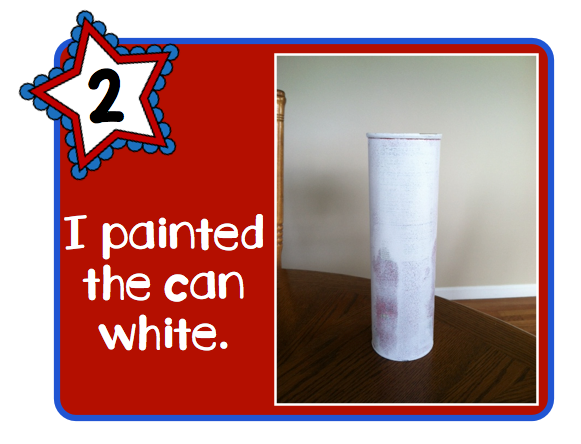 First, our Play-doh Activity Giveaway! Melissa and Becky we will be sending you all of our Play-Doh activities today!!! Thank you to everyone who entered! By the way, we do tons of flash freebies on our Facebook page so you may want to head over and follow there too! Also, we just started with Bloglovin... I LOVE IT! (Bloggers, feel free to steal the pic above for your own survival posts :) ) I actually wish that Google Reader would have bit the dust a long time ago... Bloglovin is super easy to use and it has a ton of great features. 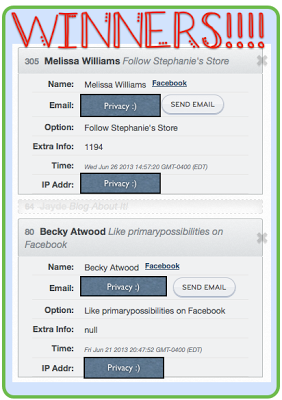 A few days ago Stephany asked for you to like a post over there for a chance to win any product from any of our stores. Here are the three lucky winners. Jessica Eicke-Reinartz, Sarah @ Hoots & Hollers, & Yearn to Learn. Email us (primarypossibilities@gmail.com) and let us know what product you would like! So again we will totally coerce you into following us on Bloglovin' and like THIS post for another chance to win! We will pick two winners to win a product of your choice from one of our stores just by following us over there! Don't forget to LIKE this post and leave a comment telling us what # your like was! From your tease on instagram I had no idea what you were going to make. . . LOVE it. Your Google Reader button is hilarious. I just liked your post I think I was number 1 but I'm still getting use to bloglovin'. I'll see you on instagram. I think I am the second person, since it said 'you and one person likes this'!!! What a cute container for cookies for your grandma! She'll get a kick out of it. Cute with Modge Podge. I did one with scrapbook paper wrapped around it...hard to keep it smooth and lined up though. I am the third person to like it on Bloglovin. 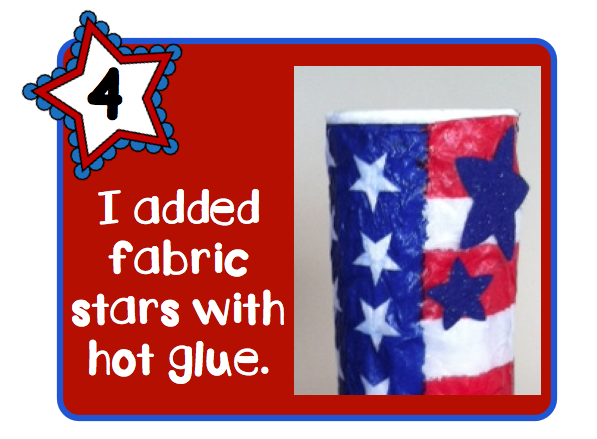 I have never been really crafty but I feel like I might be able to do that. Thanks! 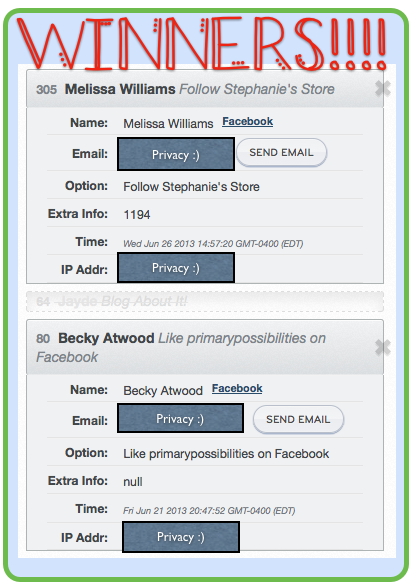 I follow you on blog lovin' & I was the 4th person to like this! and I just realized I won your playdough packs!!! SOOOO excited! Thank you!! 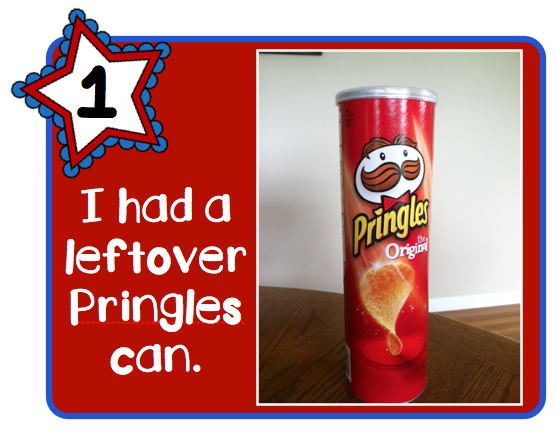 I use Pringles cans to make Power Towers for the classroom but I love this idea and will be trying it out at Christmas for sure. Thanks! 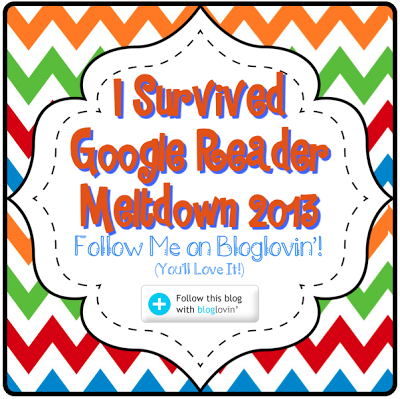 Love the google reader button...looks like we all did survive!